How much will the AFL’s players get paid with the new broadcast agreement coming into effect in 2017? When will players qualify for free agency? Should draftees be tied to their first club for longer? Will there be a player-driven lock out? It’s time for the AFL’s new collective bargaining agreement to be negotiated, and you need to know what’s at stake, because there’s plenty. You’d be forgiven for thinking the only thing on the AFL Players Association’s mind right now was the Swiss legal system. For the League’s 780 other players, there’s something far more important happening this year – something that has the potential to reshape the game we love. A quick browse of www.aflplayers.com.au reveals the AFL Players Association (AFLPA), led by ex-Australian cricketers union chief Paul Marsh, has been talking an awful lot about the Essendon situation in recent months. In fact, outside of the thoughts of AFL players on the upcoming fantasy season and Super Bowl 50 predictions, that’s about all they’ve spoken about or written about in a public setting in 2016. Sure, it’s the AFLPA’s job to ensure that its players receive a fair hearing when legal matters arise, but when it comes down to it, the Association is there to represent all AFL players. And wouldn’t you know it, there’s something incredibly, remarkable, earth-shatteringly important that affects every single AFL player, past, present and future, that one would hope is front and centre at 170 Bridgeport St in Albert Park. No, it’s not the Essendon situation. And no, it’s not the terribly designed, near-unusable AFLPA website. It’s the re-negotiation of the collective bargaining agreement (CBA) between the AFL players and the AFL. What is the CBA? I would call it one of the most important document in the AFL, perhaps third behind the AFL Laws of the Game Charter, and the rule book itself. The CBA sets the parameters for everything, from how much players are paid, how they are listed and delisted, how they are traded, general working conditions, health and safety, and everything in between. Everything else – including any financial policies like equalisation – that happens in the AFL hangs off of this document. There’s not a lot of time to do Industrial Relations 101, so please take my word for it: this thing is incredibly important. Not just for the players it covers, or the clubs it regulates, or the league in which these two spheres interact: it affects everyone and everything in the AFL. You can get your own copy of the CBA here. The current CBA had an original term of 2012 to 2016, but was renegotiated following a standard mid-term review, after it became evident that the AFL’s financial health was a little stronger than anticipated. That’s the version of the document linked above. The 2014 deal, which came into effect in 2015, sets the current rules of the game, and one of those rules is that the CBA is to be re-negotiated in time to come into effect on 1 November 2016. In order for that to happen, the CBA states that negotiations for a new agreement should be complete by 30 June. That’s four and a half months away, people. And as above, there has been nary a public peep out of the AFLPA on this baby since AFLPA president Matthew Pavlich spoke to the media following a December delegates meeting. There was no great revelation from Pavlich’s interview, but it did shed some light on the issues the players would seek to focus on in the coming negotiations. Given 30 June is getting rather close, here are the biggest issues at play in the CBA, and some suggestions of what might happen from here. But first, a step back and look at what happened the last time the full CBA was up for negotiation. The 2011 negotiation period was a rock fight, plain and simple. The AFLPA, then headed up by current St Kilda CEO Matt Finnis, pushed for a significant increase in pay and an expansion in player entitlements, and did so incredibly hard. The AFL had just negotiated what was a record $1.253 billion over five years television rights deal, and the AFLPA wanted its players to receive a jump in pay in line with that. The League didn’t want a bar of it. A lot of that was likely negotiating tactics. No one ever enters a negotiation putting their final figure on the table – you always go far higher or lower, depending on which side you’re on, knowing full well that’s what your opponent will do. But a lot of it wasn’t too, particularly on the AFL’s side, given many Victorian clubs were in trouble financially at the time, and weren’t confident of being able to meet the new salary benchmarks the AFLPA was seeking without making large losses. The biggest point of difference emerged as the players called for a fixed share of the League’s revenue, as it is in a number of global sports. Initially, the players wanted 27 per cent of the AFL’s total revenue – club land and central command – made available for the players, to be used in a number of different ways. The lion’s share of that would go to player salaries, but it would also include education and training, health and welfare, and post-career support and funding. HQ wouldn’t budge on this particular point, and the players eventually gave in, instead settling for fixed annual percentage increases in the game’s salary cap, known as Total Player Payments, or TPP. Those increases were quite run-of-the-mill in the end, with an initial seven per cent bump proceeded by four per cent, 5.4 per cent, three per cent and three per cent. 2014’s mid-term review saw that 2015 increase bumped up to 4.6 per cent. The pattern was almost identical to the previous CBA, despite the surge in broadcast revenue. The AFL’s revenue increased by almost 25 per cent in 2012, the year that the new CBA kicked into effect and the players received a seven per cent increase. So, the two sides were quite a way apart in that respect, and things started to get ugly towards the middle of the 2011 season. How serious did it get? There was open talk that the AFL players would boycott the International Rules series of that year, and potentially the NAB Cup too, as a way of “voicing their displeasure” at the holdouts at League HQ. There couldn’t be a lock out, could there? No games were lost, with the AFLPA and AFL coming to an agreement. However, the spectre of boycotts always looms large over these kinds of negotiations. Look no further than the NBA and NHL in the United States, where labour agreement delays have led to lost games as recently as 2013. The entire 2004-05 season of the NHL was canned as a result of an impasse between the buyers and sellers of ice hockey labour. Those examples are in the hyper-commercial American sporting leagues. We’re a bit more egalitarian over here, and so the prospect of any actual “lost” games is incredibly remote. But, it is worth keeping it at the back of our collective minds; the AFLPA is, after all, a union that exists to protect the interests of its players, and just like in a more traditional workplace one of the options available to the AFL players is strike action. It’s important to point out at this point that the current CBA states that if a new agreement is not struck, the current CBA will remain in effect until such time that a new agreement is made. That would mean everything is frozen at 2016 levels, despite the surge in revenue about to flow the way of the AFL. The players won’t allow that to happen. Which is a nice segue into the key issues at play in the 2017 agreement. The biggest one is the most obvious: just how high will the AFL allow the TPP cap to rise? In case you missed it last year, the AFL and its broadcast partners re-upped the League’s broadcast contract to an unthinkable $2.508 billion over six years from 2017, up from what was an already remarkable $1.253 million over five years from 2012 to 2016. That’s an increase from $250 million per year to $417 million per year, or a 67 per cent increase. To put this number into context, in 2014, the AFL earned $458 million in revenue for everything it does, including the circa $250 million of broadcast agreement money. What could the League’s central pot grow to in 2017? One would think $600 million is not out of the question, and indeed that is probably a conservative estimate. The AFL has kept around 30 per cent of this revenue to fund its own operations in the past decade, distributing the rest to the AFLPA, the clubs, and other strategic projects. Speculation as to what the League might spend its new riches on is rife. The first item on the AFL’s list is to untangle the Christmas lights that make up its financial equalisation/competitive balance policy. That itself is worth far more time that we can dedicate here, but be advised that the league will be mostly ripping up and redrawing its financial relationship with and among the clubs before the year is out. Notwithstanding, the players will want a fair slice of the AFL’s newfound riches, given they, for all intents and purposes, missed out on a big pay rise under the last rights agreement. We do know that the AFLPA will pursue the fixed share of the pie line of argument once again, which has already been largely dismissed by Gil McLachlan. If that’s off the table, what could the players reasonably expect to achieve as far as a new TPP limit is concerned? The players will want a fair slice of the AFL’s newfound riches, given they, for all intents and purposes, missed out on a big pay rise under the last rights agreement. Historically, the league-wide TPP figure has been equal to around 40 per cent of the AFL’s central revenue pot – the two aren’t related directly, that’s just what the numbers show when compared. In recent years, that figure has dropped to below 37 per cent, in a sign that player salaries are perhaps not keeping pace with top line growth across the league in recent years. We will get an update on this number towards the end of March, when the AFL’s 2015 annual report is released. I’m hesitant to put a number out there, because so much is up in the air with regards to club finances, which are arguably a more important consideration to this discussion that the financial health of the league as an entity. But under a ceteris paribus scenario, assuming that the only thing that changes in the AFL’s top line revenue grows by $160 million in 2017 and it distributes funds in precisely the same portions that it did according to its 2014 annual report, we may expect the TPP cap to rise to just shy of $15 million in 2017, and head towards $18 million by the end of the CBA. A cap jump like that, from the $10.4 million in 2016 to $15 million in 2017, is simply not going to happen. Clubs would have been planning around an increase, but a surge of that magnitude would wreak untold havoc on the league. Players would begin breaking deals and looking for a big increase in their pay, while those with the luck – dumb luck or the kind that comes to those that are good at predicting the future – who come out of contract this year would do so with an unprecedented increase in cash available to them. What is far more likely is a gradual increase, stretched over the life of the new agreement, which smooths out any prospective pay day that the players can expect to receive. Sure, there’ll be a large increase in the first year, but perhaps something closer to the seven per cent which has been granted in the first year of the past two agreements. That all remains up in the air, though, given we’re working on old AFL numbers right now. What we do know is that it’s a great time to be an AFL player. Or is it? Last week, a summary report of 2015’s final TPP data was released by the AFL. The headlines, quite predictably, focussed on working out who the two highest paid players, who earned $1.2 million or more last season, were. But the data were far more interesting once the shiny-looking surface is breached. Listed players took home an average of $302,104 in 2015, up from $237,388 at the end of the last CBA. That’s an increase of 27 per cent, which is higher than the increase in TPP (23 per cent). This is quite revealing, and sets up an interesting little dilemma for the AFLPA in the upcoming negotiations. There has been an almost-near total eradication of sub-six digit earners under this new agreement, which would be a product of increased draft salaries and a lift in the base payment for rookies instituted in the 2012 agreement. However, that appears to have come at the expense of broadbased growth in player salaries, with those in the middle bearing the brunt. For you see, the average player salary has grown faster than the overall TPP limit for one reason, and one sub-reason: there has been a veritable explosion in players earning $500,000 per year or more, likely enabled in large part by a surge in the value of additional service agreements (ASAs) entered into by established AFL players, particularly in 2015. 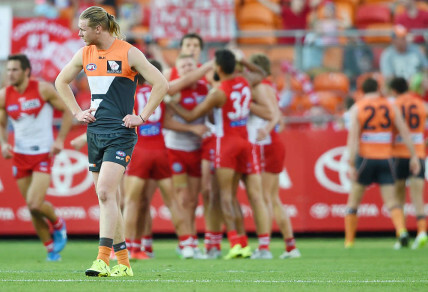 At the end of the last CBA, the majority of AFL players earned less than $200,000 per annum. A slightly smaller proportion earned between $200,000 and $500,000, and a small share – less than six per cent, or just 40 players – earned half a million dollars or more. At the end of 2015, just over a third of listed players earned $200,000 or less, half earned between $200,000 and $500,000, and a significantly larger 13 per cent of players took home $500,000 or more. The median salary for an AFL players has remained in the $200,000 to $300,000 bracket for the past five years, despite an increase in the average salary to above $300,000. In essence, the current AFL CBA has enabled the very best, highest value AFL players to increase their salaries at a disproportionate rate to the rest of the competition. The lot of a middle-of-the-rung player has remained largely unchanged over the past five years, at least as far as take home pay is concerned. This is an interesting tension within the AFLPA, given it exists to represent the interests of all AFL players, the vast majority of which aren’t 250-game stars. However, the majority of AFLPA delegates are established AFL players, not the run-of-the-mill types. Meanwhile, 2015 was the first time in at least nine years that AFL players as a group earned more than the collective ASA allowance permissible under the CBA. The CBA states that AFL players can earn up to $992,000 worth of ASAs outside of the TPP cap, with any income earned about that amount counting towards the cap. Last season, AFL players were paid a total of $18.6 million in ASAs, which is above the threshold of $17.9 million. That’s an aggregate figure, so it doesn’t reveal whether five clubs were over their individual club threshold, or 10, or indeed just one. This is another dilemma for the AFLPA, because all things being equal, it’s the star players that are already earning good money by virtue of their standard of play that draw the attention of companies looking to spruik their products. While it’s the first year that it’s occurred, that the ASA limit has been breached would mean there is slightly less money to go around for standard contract payments for players, and it’s those middle class players that would again bear the brunt of this. Is there a solution? Not without introducing all sorts of crazy salary cap mechanics like those which exist in the NBA. There are means and ways to make middle class players seem more attractive, by adding bells and whistles to their salaries like traded salary exceptions or deferred free agency rights. But, this would be counter to the goals of the AFL’s competitive balance policy, which is attempting to strip all sorts of complexities out of the current salary cap arrangements – to great effect at this point. So instead, what’s likely to occur is that the mostly free market approach to salary setting continues, which means clubs are free to lavish their star players with more and more lucrative contracts. That puts pressure on the middle class, given salaries at those lower levels are largely fixed. Another point of discussion may be how the league treats its youngsters and fringe players, namely draftees and rookie listed players. Let’s deal with rookies first. The vast majority of AFL players are fully listed players, however there are 106 rookie-listed players this season, most of whom have spent their AFL careers on the fringes of lists, or plugging away at lower levels. These players earn a relative pittance, with a minimum salary of $57,940 available to them in the 2016 year. Clubs can pay their rookies whatever they’d like – including match payments, bonuses, incentives and the like – but given rookies are mostly the last dog at the bowl when it comes to list management, one would expect the vast majority earn at or around that minimum figure. That seems a comparative pittance for players that arguably work harder, and suffer more hardships, than their more highly-paid, highly-skilled counterparts. Rookies are, by their very definition in the AFL, fringe dwellers, and are likely made more so by their low pay. Would an extra ten, or even 20, on the base figure for a rookie contract break the bank? Given most clubs have five or six on their list, we’re talking an extra $60,000 to $120,000 to make the wages of rookie listed players more liveable break the AFL’s collective bank? 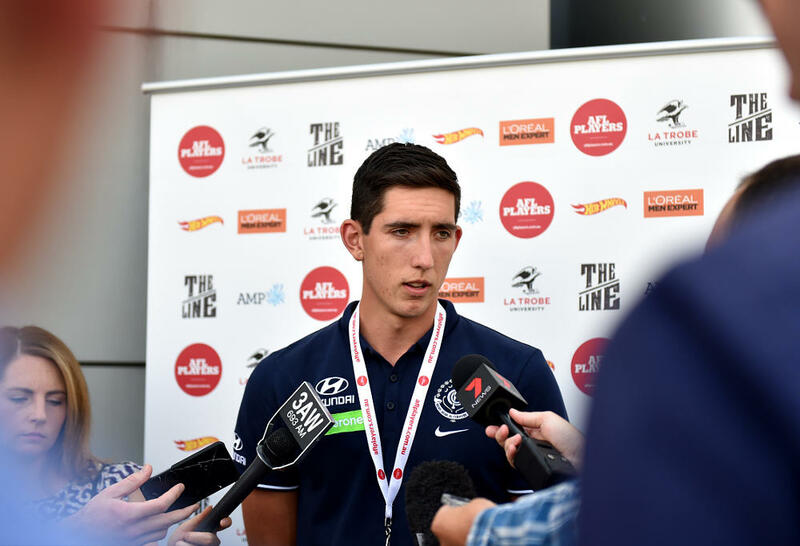 The AFLPA managed to argue for a strong lift in both draftee and rookie pay – the latter of which was very close to the minimum wage – as part of the last CBA. More could certainly be done to help the rookies out. All players taken in the AFL draft receive automatic two-year contracts, with fixed retainers, match payments and bonuses for total matches played that are defined in the CBA. There are three bands for the retainer: first round, second round, and third and subsequent rounds; draftees taken in the first round receive the highest retainer and third and lower rounds receive the lowest. Match payments and bonuses are the same regardless of position. A player taken in the first round – let’s use Jacob Weitering as the example – could earn $175,490 if he plays the full 22-game season, $74,740 of which is a retainer, $80,520 of which is match payments ($3,660 per game) and $10,230 in a bonus for playing more than 10 games. Weitering also received a one-off bonus of $10,000 for being taken at number one, but also has additional media commitments that others draftees don’t. I don’t know about you, but I wasn’t earning $170,000 as an 18-year-old. It sounds great, but not everyone is a first-round pick, nor will play a full year in their first season. The 70th overall pick in last year’s draft, Matthew Hayball, may earn $64,395 for the year, 100 per cent of which is his contract retainer. That’s assuming Geelong didn’t pull the wool over everybody’s eyes and uncovered another Paul Williams. Second-year players get a pay rise, based on the position they were taken in the draft and the number of games they played in their debut year. However, they don’t receive a bonus for the number of games they play in their second year. Weitering would see his retainer bump up to $98,105, and his match payments to $5,305. Assuming he once again plays 22 games, his salary would increase to $214,815. Hayball, by contrast, could expect to earn $71,390. This is in addition to allowances for moving expenses, tools of trade, and any ASA money that the club may wish to arrange for their youngsters. With a salary cap of about $10 million per annum, those numbers look about par to me. An elite youngster can expect to become a very well paid individual (and take up about two per cent of his club’s salary cap) very early in their career, while someone who is good enough to be drafted can still pocket a decent salary – which is more than many full time professions pay – while they’re taking a shot at making it as an AFL player. There likely won’t be a step change increase in draftee salaries in the upcoming CBA. But one issue that could be up for debate is the length of draftee contracts. As above, draftees are awarded a fully guaranteed two-year contract with their new club. For most, this means they sign their deal as an 18-year-old, and are due a new contract by the time they’re the grand old age of 20. At this point, it’s nigh on impossible for a club to truly know what they have. Nat Fyfe, taken in the second round of the 2009 draft, didn’t look like the footballing Jesus at the conclusion of his second year. Sure he looked like a potential star, but it took until July of his second year for the Dockers and he to agree to a two-year extension. Jesse Hogan was taken in the GWS mini-draft, effectively considered a member of the 2013 draft crop. He didn’t get on the park until the 2015 season, with the Demons having to lob him a new contract in 2014 to keep potential rivals from pinching him before they knew what they had. The initial contract window in the AFL is quite short compared to international sports that have drafts, too. In the NBA, rookies are tied to their team for a minimum of two years, with clubs holding third and fourth year option rights which they must exercise at the end of their draftee’s second year. In Major League Baseball, teams hold the rights to their players for up to eight years, while in the NFL… actually let’s not do anything like they do in the NFL. Despite this, a number of clubs choose to sign their players up to longer-term agreements early, sometimes before they’ve even played a game. So far this year, two players have signed extensions to their draft contracts, and there’ve been many more in recent years. The most high profile and controversial of these has been GWS Giant Cam McCarthy, who is presumably in his native Western Australia right now on personal leave. As we have seen in recent trade periods, players are beginning to exert their influence on the clubs in a more concerted fashion. The Cam McCarthy situation is the text book case of this. Can, or should, the clubs argue the case for an extra year on draft contracts? This would have benefits for everyone. It would allow the clubs to have their coveted youngsters for an extra year of growth and development, at a cost controlled rate. The clubs would be in a position to know their draftees better, and give them greater opportunities. For the players, particularly those that are on the edge of retention or abandonment at the end of their second year, they get an extra 12 months to prove they can make it at this level – either at their current club or a new one. The AFLPA may argue it precludes the better players making more money, earlier, and that’s likely the case. However, the best players will still realise their value. This would help the 90 per cent of its constituency that doesn’t have a long, storied career. Besides, the bigger prize from the AFLPA’s perspective isn’t draft contracts, it’s free agency. Free agency came into play in the AFL in the 2012 off season. Since its inception, 49 players have moved clubs using the mechanism – around 14 a year – the majority of these as delisted free agents. These are players that would have otherwise had to enter the pre-season draft to continue their careers, which seems archaic. A further 15 players have moved clubs as unrestricted free agents, and the balance (11) as restricted. We don’t have the space to run through the specifics of each category means right now – there’s an excellent primer on the AFL’s website if you’re keen. A player earns restricted free agency rights after eight seasons, and unrestricted free agency rights after ten years. An unrestricted free agent is a true free agent; free to move wherever they like. There are some cases where a player can become an unrestricted free agent earlier, but these do not occur often. The club of a restricted free agent holds the right to re-sign a player if they want to match the free agency offer that another club lodges – no club has chosen to do that in the four years of free agency. Free agency has been a contentious issue since its inception. AFL football, for better or worse, has a bucket load of traditionalists and conservatives that don’t like the idea of players choosing their professional destiny. Some of this controversy is understandable, if not justified: James Frawley’s move to Hawthorn was a masterstroke on behalf of the Hawks, as they were able to pinch a very good player at the most shallow position in the league without having to give up anything but salary cap space. The debate around free agency seems to centre on the old versus the new: loyalty versus business. This is an immature view, for mine, and it ignores what this and other player movement reforms achieve. As I argued when the AFL introduced future picks trading last year, initiatives to help grease the player movement wheels help even out the distribution of talent so long as there is a salary cap system in place. Freer player movement has been on the AFLPA’s agenda forever; the introduction of free agency in 2012 was the result of many years of negotiation and lobbying, and it took two full years from agreement to implementation. I expect this to be a hot button issue once again. In fact, we already know that it will be. Earlier this week, the Herald Sun reported that the AFLPA was pushing hard for free agency to kick in earlier in a player’s career. Under their proposal, restricted free agency would kick in at the six year mark, and unrestricted free agency at eight, down from the 8/10 model that’s in play now. As it stands, very few players make it to unrestricted free agency; only those who are great have careers that are that long. In the view of the AFLPA, it kicks in far too late to be of any practical use. 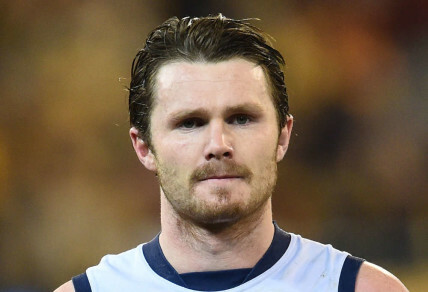 Meanwhile, restricted free agency is mostly a redundant concept, as evidenced by the Patrick Dangerfield situation last year, largely in my mind because of the long service limit. There’s something of a quid pro quo here: clubs may be reluctant to allow players they enjoy the company of to attain free agency status earlier in their careers, but I bet they’d like to hold onto their youngsters on cost controlled deals for an extra year. The AFLPA wouldn’t want its players tied to below market value deals for longer than they are now, but earlier free agency would help the best earn more, earlier. These two issues may not be discussed in the same context, but they are both likely to be on the table come the middle of the year. If I were a betting man I’d say the free agency service requirements are more likely to fall than the tenor of draft contracts rise, though. The AFL’s free agency mechanism is not included in the current CBA, which seems something of a misnomer, and that will surely be addressed in the new agreement. However, the current CBA does refer to a working party that is discussing potential changes to free agency right now, and which is expected to report to the AFL and AFLPA at the end of the month. That could kick CBA discussions off in earnest. That’s a wrap of the biggest issues at play. But as ever, there’s more. Here’s a quick list of other things that will be up for discussion in the coming months. • Under the current CBA, there is an ASA cap which exists outside of the TPP cap. This cap, set at $1.02 million in 2016, is a soft cap in so far as clubs are free to breach it if they wish. However, any ASA income paid above that threshold is counted towards TPP. The ASA cap is currently around 10 per cent of the TPP cap, up from seven per cent under the last agreement. Footy is only getting bigger and bigger, and the tension for the value of commercial endorsements to grow is large. • Health and safety, player welfare, and education are likely to be big issues for the players – you can never have enough of any of these things these days. The question will come down to who foots the bill? The AFL? Clubs? Or players, in the form of a reduced salary increase? • AFL clubs are required to lodge all player contracts with the AFLPA and the AFL itself. Both organisations are sitting on a goldmine of information; that information is kept almost completely hidden. I’d personally like to see more transparency, but the AFLPA and the players are dead against their salaries being published. • Players currently hold absolute veto rights over any potential trade, which is a quaint feature of our domestic football league. Most, if not all, other major sporting codes around the world put trade powers firmly in the hands of the clubs. Some leagues, such as the NBA, allow their players to negotiate “no trade” clauses with their clubs directly as part of contract negotiations. It’s something worth mulling over when the free agency discussion ratchets up in a few weeks’ time. • There’s been many positive steps taken to address player welfare and finances in retirement, but like education more can always be done. The AFL players’ superannuation fund is a defined benefit scheme, and requires ongoing subsidies from the AFL to remain fully viable. A big pay day is a great time to settle debts for organisations in the same way it is for individuals. • The other major post playing career issue facing the AFL is long term illness and injury, namely the potential impact of head knocks and concussions, and just how liable the AFL and its clubs should be for medical treatment. The CBA does deal with this, but in a mostly short term manner. Expect this to be front and centre, with both parties keen to ensure retired players are better taken care of. • Last time around, the clubs and AFLPA got into an argument over whether players should be guaranteed single rooms when travelling to play. The clubs felt this was an unnecessary financial burden, while the AFLPA thought twin rooms were a little passé. The matter remains unsolved, with the right to a single room not fully guaranteed by the CBA. • Finally, one that I haven’t yet had the dual pleasure and burden of dealing with: player access. The AFL media complain consistently about the inability to get access to players and coaches. This is all governed by incredibly burdensome – in a relative sense – administration arrangements included in the CBA. This, again, seems somewhat archaic. Will the AFLPA come to the party and improve player access? Probably not. There’s plenty to discuss in the coming months, after all.